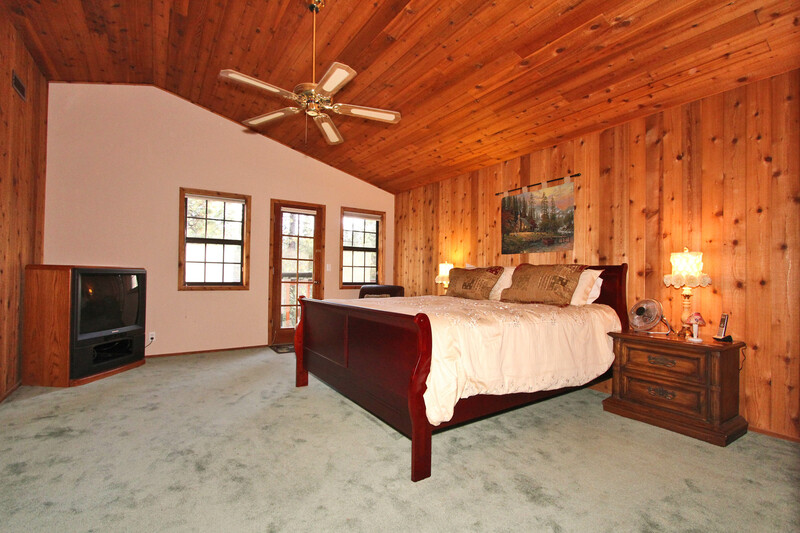 So you have a Big Bear cabin rental property and you would like to get more cabin renters. There are a few things you can do about raising revenue and renters expectations. Cabin rentals in Big Bear can be a great investment if you understand what visitors are looking for. Many vacationers to Big Bear Lake are coming up the mountain from Los Angeles, Los Vegas, San Diego and surrounding areas. Or maybe they are in town from another state visiting family or just passing through. In any case, they are looking for a place to stay and you want it to be your Big Bear vacation rental. For many Big Bear visitors, expectations can be high. They are looking for clean, welcoming, mountain lodging that provides more options than a hotel, more space than a single room bungalow and something closer to nature with more privacy than a group of buildings in a parking lot. 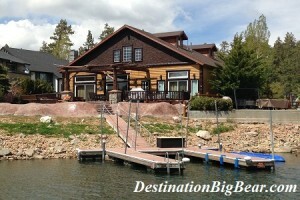 Big Bear Lake cabin rentals are available all year long. 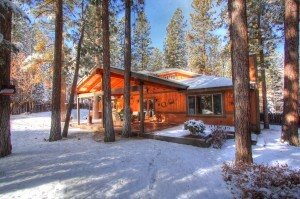 This is where your Big Bear cabin property can stand out. 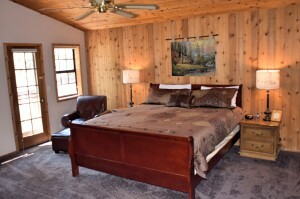 To make your cabin rental in Big Bear Lake get the most attention, you need to consider a few things. Big Bear is a seasonal community. This means that rental income is going to fluctuate and yes, weather does play a factor. The majority of visitors are coming up for winter sports such as skiing or snowboarding at Snow Summit or Bear Mountain. Rent can be significantly higher during this time of year due to the demand. It can also drop off if there is a lack of cooperation from mother nature and snowfall is low. During the summer months, Big Bear Lake activities and long holiday weekends draw the largest crowds, as well as mountain sporting events such as mountain biking and fishing tournaments like Big Bear Troutfest. You can easily plan on using your cabin in Big Bear yourself for your own mountain getaway while making a few considerations to accommodate guests and increase income potential. 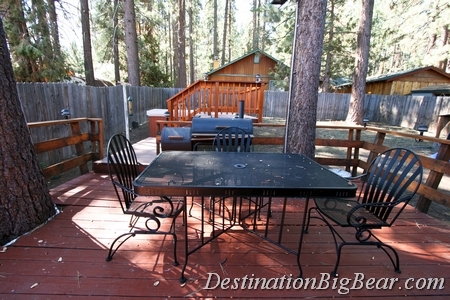 A relaxing outdoor space at your Big Bear Lake cabin rental. Visitors in the summer months enjoy Big Bear and the surrounding San Bernardino National Forest for the mild weather and beautiful views. Barbequing is popular and a nice deck in good repair can make all the difference. Providing a grill, comfortable seating and shade from the sun will make the Big Bear vacation experience more enjoyable and will provide the opportunity for wonderful mountain memories. Weed abatement and yard maintenance not only makes your property more inviting, it’s the law. A low maintenance yard and a fresh coat of house paint provides the renter with a great first impression of your Big Bear cabin property, and lets people know that your home is not abandoned. Make sure any railings or decking is in good repair to prevent accidents and injury. Windows and screens should be in good repair so guests can enjoy the cool night air and the house can be properly ventilated, as most cabins in Big Bear do not have air conditioning which is frequently requested by renters. It is also important to remember that houses are prone to ant, spider and other insect inhabitants, especially when not in full-time use. Schedule regular bug prevention to avoid unfavorable reviews and issues. 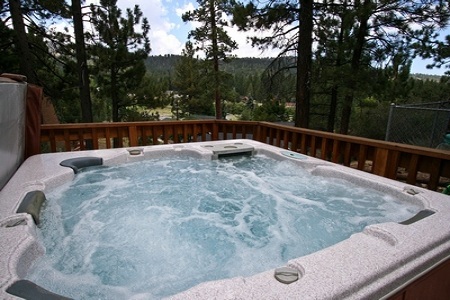 Spas are a great feature at vacation rentals in Big Bear Lake. Winter in the mountains brings snow, ice and water. The heavy precipitation can damage roofs and structures. Maintaining your shingle roof and making sure fallen pine needles are taken care of each year will extend the life of your cabin in Big Bear and help prevent damage and rot. Make sure drainage pipes and gutters for melting snow and rain are functioning properly and drainage ditches are cleaned out from trash and accumulated yard debris to keep water away from the foundation. Adding a hot tub to your Big Bear cabin rental is something to consider. Many guests enjoy soaking in the spa after a cold day out on the mountain or on chilly nights. 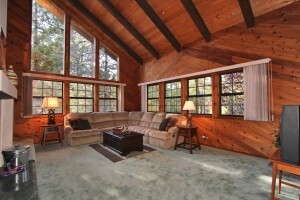 Dark, log interiors might seem warm and cozy, but it can also make a property look dated. Dark carpeting can get wet and dirty pretty quickly and can make a space seem old and small. Consider upgrading to an easy to clean hard surface that can withstand traffic and water from rain and melting snow, especially in gathering rooms like living rooms and family rooms. Hardwood or solid surface flooring is also great if you are considering making your property a pet friendly Big Bear cabin. Neutral, light paint colors are an easy and inexpensive way to to refresh the look of any room. Keeping wall art to a minimum with cabin friendly subject matter can also change the look and feel of a space. Consider supporting a local artist or photographer and eliminate nick-knacks and breakables. This will keep surfaces clean, dust to a minimum and allow places for guests to set personal belongings. Furnishings can get a lot of wear and tear but also need to be comfortable for guests to relax. Protect sofas and chairs with fabric treatments such as stain guard and waterproofing, or choose a rugged fabric if considering purchasing new furniture for your Big Bear vacation rental property. Avoid Lazy-Boys and recliners to prevent damage to mechanisms and provide a moveable footstool to prevent coffee table damage. Switching out your bathroom sink or vanity, facets and providing a clean shower curtain can make a bathroom look almost new again. In bedrooms, updating table lamps, bed comforters and adding a couple throw pillows will also give the guest the feeling up updated comfort for a minimal cost. It’s important to keep kitchen appliances clean and in good repair. Replacing kitchen cabinet knobs, the lighting fixtures and replacing the kitchen faucet is a quick and easy way to update the space if budget is an issue. Lastly, window coverings are important to provide for privacy and light reduction in the cabin. Working mini-blinds and easy to wash curtains are simple and user friendly and can be changed or repaired quickly and easily. With just a few considerations for not only your own enjoyment of your Big Bear Lake cabin, but also your guests, you can make simple changes to help increase rental potential and meet Big Bear cabin renters expectations. With a few upgrades and updated colors and accessories, your budget cabin rental can give guests the feeling of a luxury Big Bear cabin. If you are interested in turning your cabin in Big Bear into an income property, contact Destination Big Bear at (909) 752-0234. 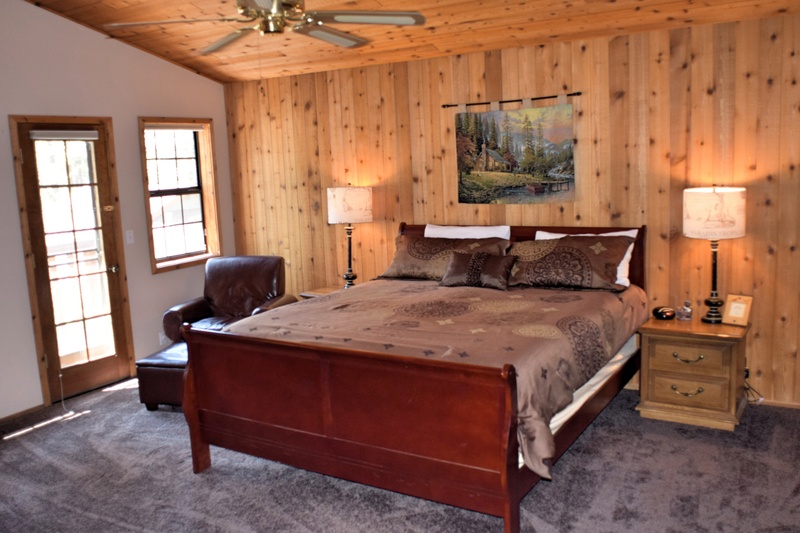 We have over 10 years experience and are the highest rated Big Bear cabin property management company in Big Bear Lake and Fawnskin. 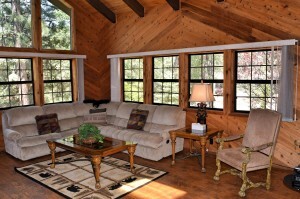 We specialize in rustic cabins and luxury cabins in Big Bear, and every budget in between. Nanette Murray moved to Big Bear Lake after vacationing from Los Angeles where she lived for 3 years. Originally from the mid-west, she has lived in numerous cities including Dallas, TX, Minneapolis, MN and Seattle, WA. In her spare time she enjoys hiking, yoga, baking and spending time with her family and adopted Chihuahua.